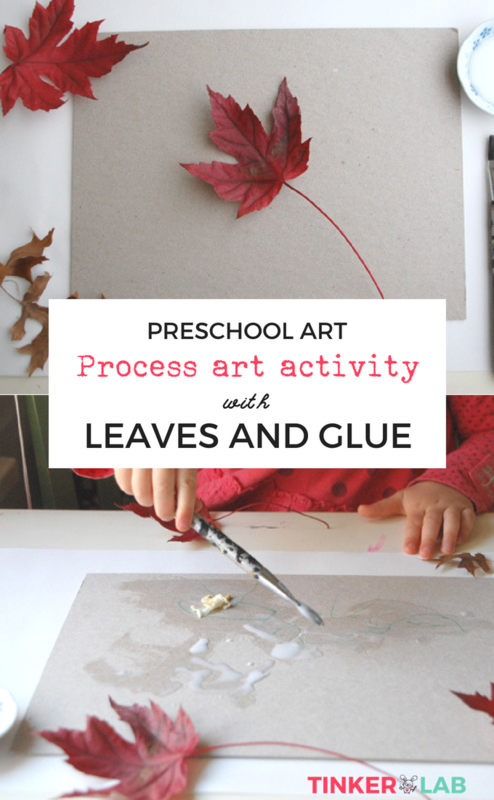 This process art activity is easy to set up and a developmentally appropriate art experience for toddler sand preschoolers. Remember: The journey is the destination. 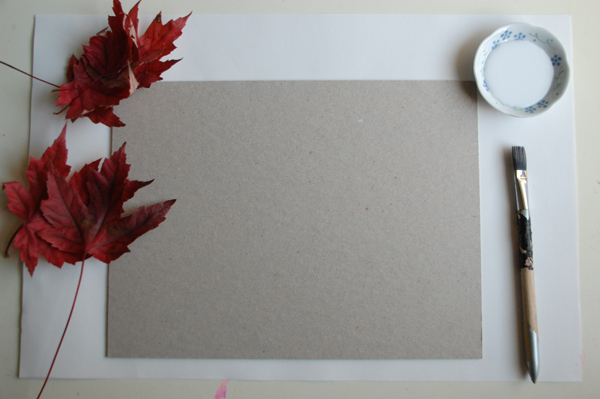 In an effort to help you minimize holiday stress, through the end of the year, we’ll share some of our favorite, simple Creative Table invitation to Create. Today’s set-up was inspired by a parent-led project at my daughter’s preschool. 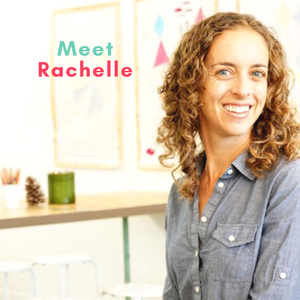 It focuses on the process more than the product and will meet children where they are. There are two things I adore about today’s process art activity: it’s low-cost and helps us connect to nature. Bonus: collecting leaves with young children adds extra meaning to this project, extending it into a nature walk. 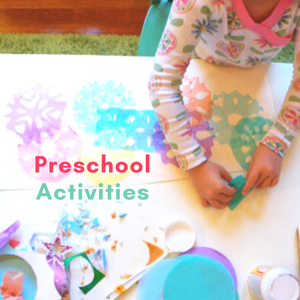 Remove any distractions that will take your child’s focus away from the creative invitation. Create a set-up that looks something like our photo (above). 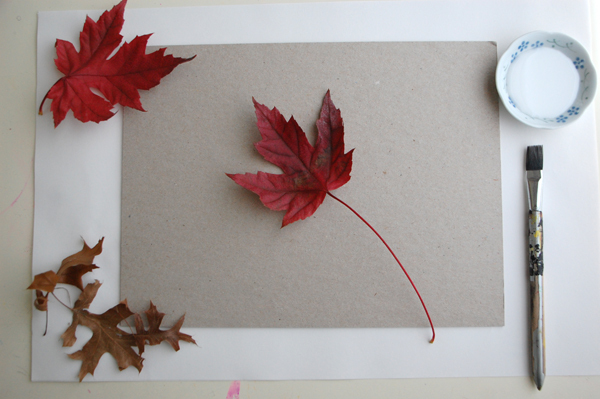 Arrange the leaves artfully to make this appeal to your child’s aesthetic sensibility. 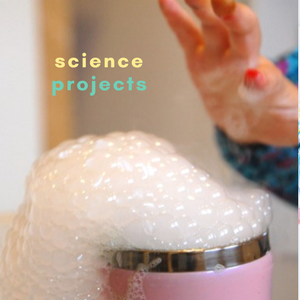 Once the table is “set,” ask your child if he or she would like to use/explore/experiment with these supplies. 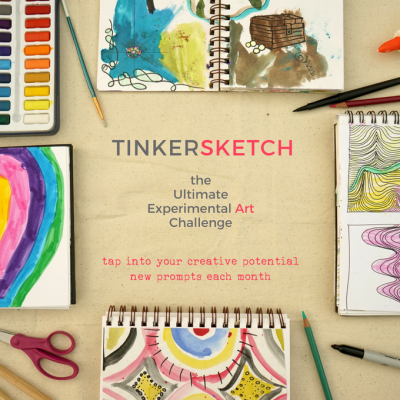 One of the exciting challenges in this prompt relates to gluing down bumpy, twisted, and generally non-compliant leaves. If your child is frustrated by the non-flat quality of your leaves, or has difficulty gluing them down, this is an opportunity to tease out solutions. You could say something like, “Hmmm, I see you’re having trouble attaching the leaf to the paper. What could we do to help it stick better?” From that, ideas such as “add more glue” or “turn the leaf over” might emerge. 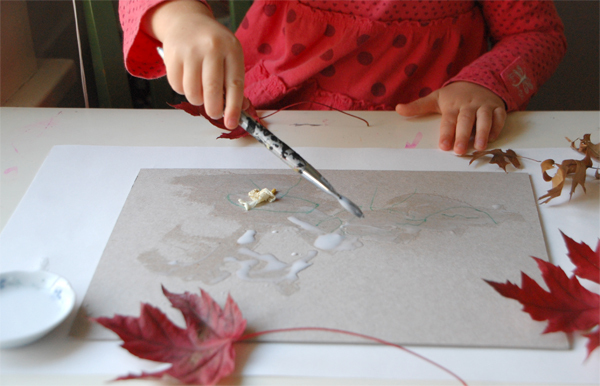 Replace leaves with paper cut into leaf shapes, circles, rectangles, etc. Yes! This is fabulous! I think I’m going to plan on doing this with all the leaves we’ve collected lately.